Providing you the best range of rf load data transmission with effective & timely delivery. 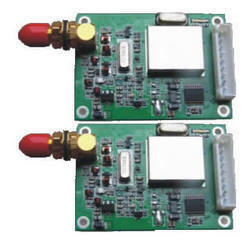 We are a well-established company that is indulged in presenting an enormous quality range RF Load Data Transmission. These solutions find extensive use in areas like stacker cranes for meeting demands of wireless communication from vehicle to control unit. This product is made at highly developed production unit by the use of superior quality of materials. They have been priced at very reasonable rates in the market.